Have you ever come across someone's feed and immediately thought, "I like their style. I've got to follow them"? It could be because of the subject matter, or because of their outfits, or because of the amazing places they feature. Regardless of content, there's one vital thing that ties every profile together: branding. Having consistent branding on your feed is the one thing that will leave an instant impression on visitors, so it's really important to pay attention to how your profile looks as a whole. Colour. Theme. Tones. Negative space. Light. 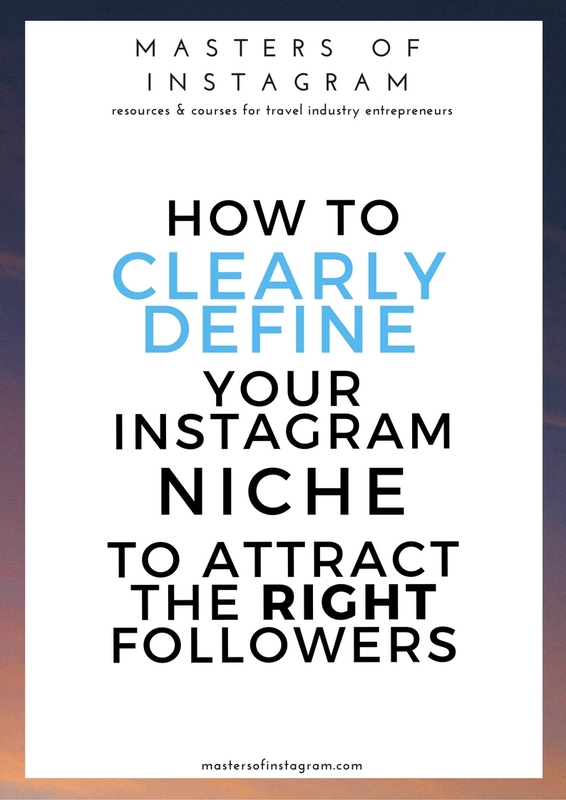 All these things contribute to creating a well curated feed, especially when done right! 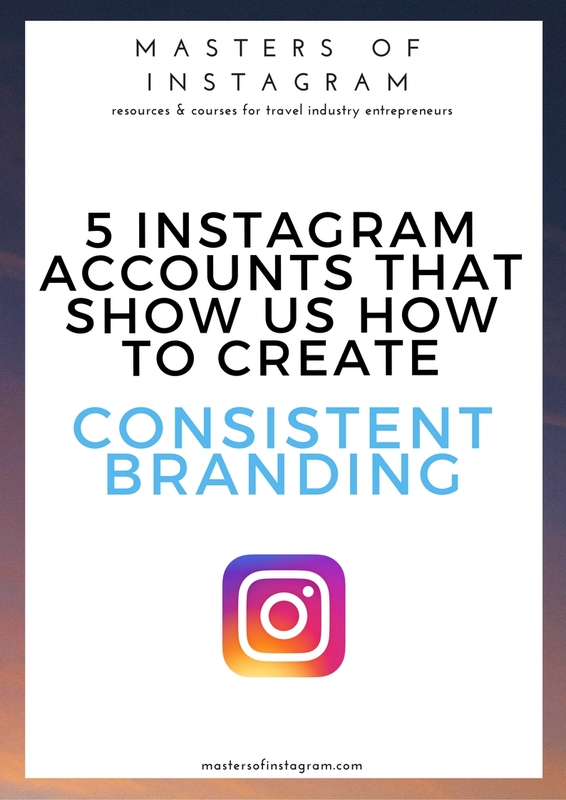 If you're not sure what I'm talking about, I'm going to share with you 5 examples of accounts that are doing these things right and how doing so creates an easily recognisable brand for that person/business. Using a few of the same colours regularly throughout your feed is a great way to stand out and create a recognisable theme. If we look at the example of @fursty, his profile is incredibly striking because of the use of moody, dreamy blues and greens. You could also achieve this cohesiveness by using the same colour(s) throughout your photos, but not necessarily having it apply to the entire shot. For example, if red is a really popular colour in your brand/business, you could use a pop of red in each shot, whether that be a prop (such as a red book), some flowers in a landscape shot, someone's outfit, etc. Accounts that feature the same thing in a different perspective have a clear theme. 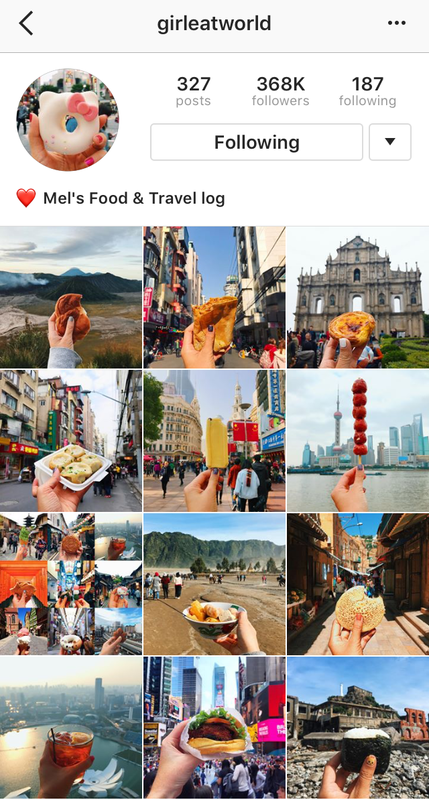 @girleatworld is one such account - each photo features a hand holding a different item of food in front of a monument or landscape. If you see one of her photos on your feed - you recognise it right away. People know what to expect. 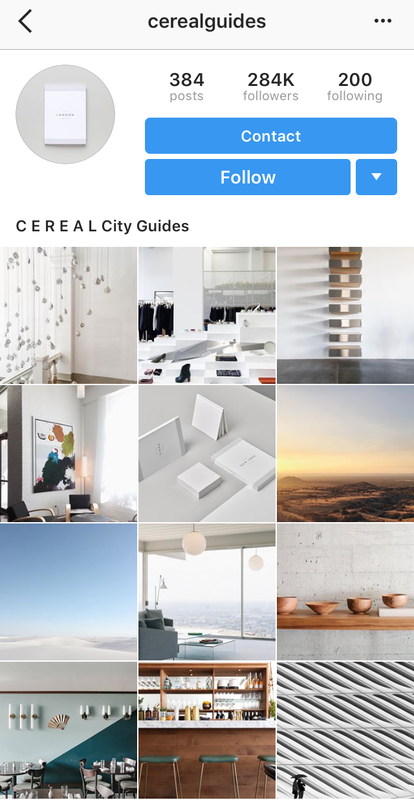 This differs from colour in that it's not just about having lots of any particular colour in your feed (although that can also still be the case). It's about the vividness, intensity and hue of a shade of colour. Take @dametraveler for example. The account isn't so much about any one, two or even three particular colours, but it still immediately stands out and is obviously cohesive. What do the photos have in common? The faded, low contrast, pastel shades and desaturated tones. Negative space (also known as white space, though it's not always white!) is used to create an ultra clean, minimal looking profile. @cerealguides uses this effectively to create a more dynamic composition as a whole. Using negative space in a single image, when an object is the subject of the photography, can be a great way to draw focus to and emphasise that object. The @cerealguides feed looks more compelling as a whole too, without too many distracting elements. It looks thoughtful and intentional, which makes me assume that their guides will be, too. A really intense, dark feed can stand out beautifully if photography is your strong suit or if you want to create a mysterious atmosphere. For example, @thenomadhotel's feed has an impactful, moody vibe as soon as you land on their profile. The impression is that of a hotel that is cool, enigmatic, maybe a little dramatic. A bright feed with lots of natural light on the other hand is more likely to evoke a dreamy, soothing feel. Great! All done - check your email in a few minutes to download your free swipe file. Please note, by downloading this swipe file you will be signing up to receive occasional emails from MOIG (filled with Instagram tips and advice). You are free to unsubscribe at any time! 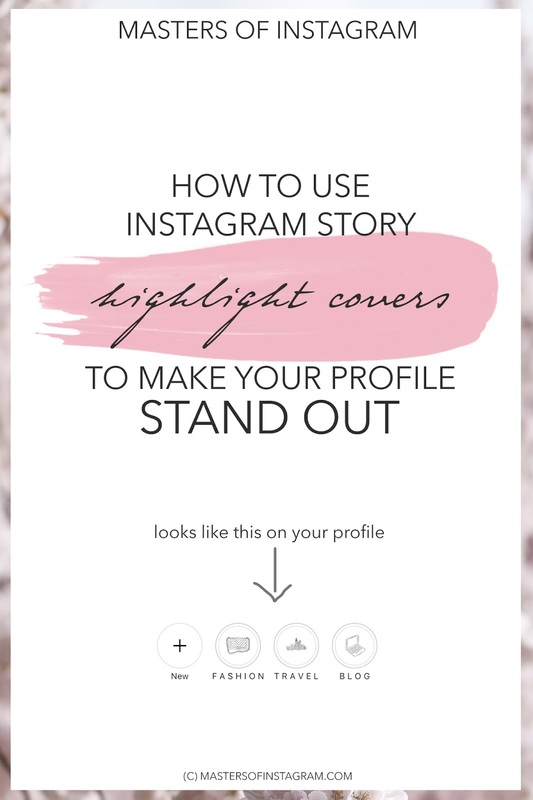 How can you create consistency on your own feed so that your brand and your profile have a signature style? A successful Instagram account doesn't always have be ultra precise and fit into a specific mould. It's true, doing so can often be incredibly impactful and beautiful (like in @furtsy's example), however, realistically, this may not always be possible for your brand or business. Still, taking the above five factors into consideration and picking at least one that you can apply to all your images is definitely a great start. Look at each of these examples. How does each one make you feel? What first impression do you have of each brand/person? How do you want people to perceive your own profile? What kind of themes, effects, light or colour would work for your brand, business or self? When you edit photos, try to apply the same filters and edits to each one so the end result has the same effect. Try to consider each photo as you take it, instead of randomly taking some shots and hoping you can "edit it to fit" later on. Think about light, what colours you can implement, white space and so on. How are you going to create consistency in your feed?